Today is the Annual Spread the Word to End the Word awareness day and students, schools and adults around the state are planning events to bring attention to the harmful use of the words “retard” and “retarded.” Find out what events are planned this month to spread the word. St. Louis Rams player Johnny Hekker recorded a public service announcement urging people to take the pledge to eliminate use of the R-Word. View Hekker’s PSA. Our online store now has Spread the Word T-shirts available in six different colors. Check out the colors, plus other personalized items. The Illinois State University women’s basketball team donned Special Olympics Illinois purple Respect is the Key T-shirts while warming up for its game on Feb. 27 against Bradley University. 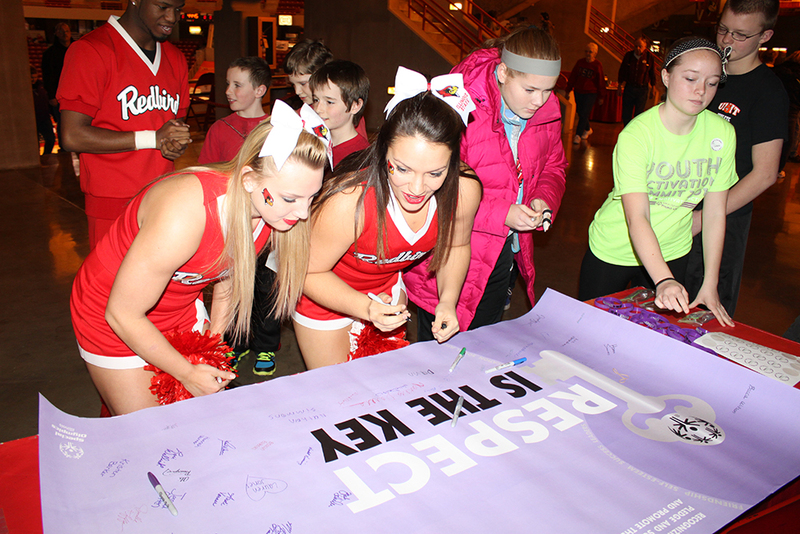 During the Redbird women’s basketball game, Project UNIFY students from Unit 5 schools in Normal asked Redbird fans to sign a banner raising awareness that Respect is the new word to replace the R-word. Special Olympics athletes took part in a halftime demonstration participating in relays with the ISU men’s basketball players. View photos. Each year, Pontiac Township High School, in conjunction with McCoy Studios, produces an R-Word video. View this year’s video. Before Special Olympics began the Spread the Word to End the Word campaign, two people in Illinois helped to bring attention to this cause. Later that month, Johnson did a news report about high school senior Soeren Palumbo of Palatine, who stood on stage before the whole school and delivered a powerful speech about the hurt and the harm the use of the R-Word causes. He too was inspired by his sister with an intellectual disability. Palumbo later was recruited by Special Olympics to help get the R-Word campaign and SO College off the ground. 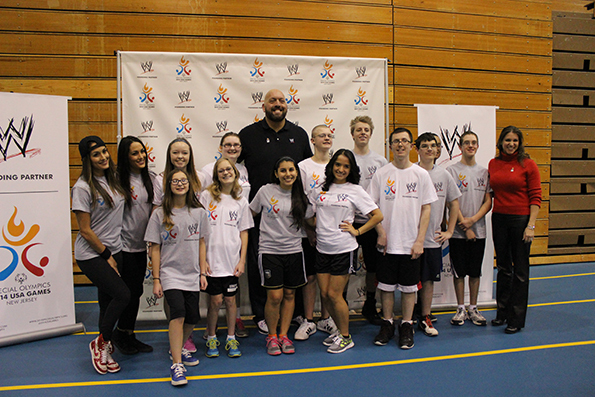 WWE Superstars, Divas and executives as well as Special Olympics Illinois USA Games athletes, participated in a community event basketball game on Monday, March 3, to celebrate 100 days until the 2014 Special Olympics USA Games, where the WWE is a Founding Partner. Approximately 300 students and faculty from Lyons Township High School in LaGrange cheered on the basketball game. Dave Breen, Special Olympics Illinois President & CEO, welcomed the group and introduced Honorary Coaches WWE Superstar Big Show and WWE Divas The Bellas. View photos and WWE’s coverage of event. Special Olympics Illinois athletes and Unified Partners played a demonstration Unified basketball game coached by the WWE stars. On Big Show’s team were Mackenzie Carlson, Nicholas Joseph, Adam Lopez, Rebecca Wilson, Vanessa Sandoval and Grace Furganie. The Bellas’ team consisted of Adam Shelton, Hanna Simmons, Nathan Simmons, Matthew Sommerer, Carina Valencia and Tony Burks. We are now less than 100 days out from the Special Olympics 2014 USA Games in Princeton, N.J.! Team Illinois athletes have been training under the direction of their USA Games coaches. The entire team (53 athletes, 6 Unified Partners, 15 coaches, 2 caddies and 3 SOILL staff members) will reunite for Team Illinois’ USA Games Training Camp April 4-6 in Bloomington-Normal. Training Camp will be a great opportunity for our coaches and athletes to practice and work out together in preparation for the trip to New Jersey! And, we’re in need of sponsors to help with the costs of flying the athletes to New Jersey and any additional costs associated with the athletes participating in the events. No athlete will pay to participate in these events and we are looking for donors and sponsors to help with the costs. Anyone interested in sponsoring an athlete or team can contact Denise Samulis, Senior Director of Development and Partnerships, at 331-444-8186. 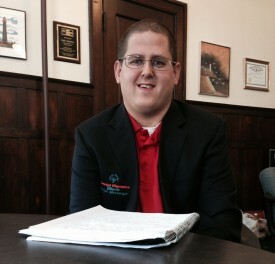 Special Olympics has been a huge part of 30-year-old Eric Baumann’s life for nearly 20 years. In that time, he has proven his athletic ability by participating in many sports and earning more than 100 medals. Eric’s athleticism is not the only trait that has surfaced through his participation in Special Olympics. He has become a bigger part of the community by involving himself in more than just sports. Eric is now not only an athlete, but a Global Messenger, a volunteer, a coach, has served on the Board of Directors and the Special Olympics North America Athlete Leadership Council. Eric’s story of becoming hooked on Special Olympics won him 3rd place in the SOILL Share Your Story Contest. 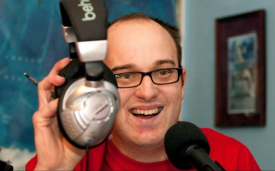 Daniel does all this with an insider’s perspective, because he has a learning disability and a speech disorder. “I struggle expressing myself. It may be hard for people to believe because of what I do,” he said. His words come slowly, sometimes with a stutter. At times, when he’s excited, they seem to rush out of him. “It’s hard getting the words out. If it’s a hard word to say, I have to think of another word to say instead. But even that is a struggle, because it’s really hard for me to process information,” he said. The Big Blue Blowout Coaches Training Weekend, hosted at Millikin University in Decatur, is celebrating its 15th year! This year’s dates are May 30-June 1. Throughout the IOC Winter Olympics in Sochi, we watched the athletes both celebrate in victory and cry in defeat. Everybody loves to win but for many athletes losing is tough to deal with. With a healthy perspective of losing and winning, athletes will become better performers and happier people. Teach athletes to respect good play and hard effort in both themselves and their competitors. Allow athletes time to feel the pains of losing, then use loss for motivation to get better. Set goals for the athlete that can be reached with or without a win. Teach your athletes to value effort over outcome in both practices and competition. Praise sportsmanship and use real examples of what sportsmanship looks like. Accept that losing may not be fun. Then move on. Teach your athlete how to find what went right in their performance. Focus on the intrinsic rewards of competition, including fun, teamwork and improvement. Remember we are more than the outcome of a game. It is who we are that makes us great. These 10 suggestions will empower athletes to reframe their loss and continue a winning attitude in both competition and life. 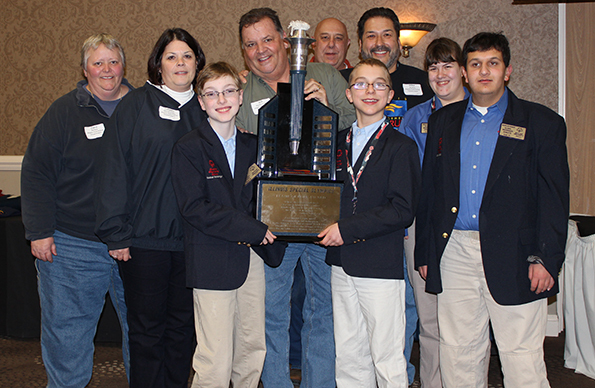 Volunteers are still needed for the 2014 State Basketball Tournament March 14-16 at Illinois State University, Normal, and Illinois Wesleyan University, Bloomington. State Basketball is one of 9 state sports competitions. It is the culminating competition for those participating in team and individual skills basketball. State Basketball is hosted at Horton Fieldhouse at ISU and the Shirk Center at IWU. Approximately 1,540 athletes will compete in this 3-day event and show off their winning form! The State Basketball Tournament is supported, in part, by a grant from the Shirk Family Foundation. 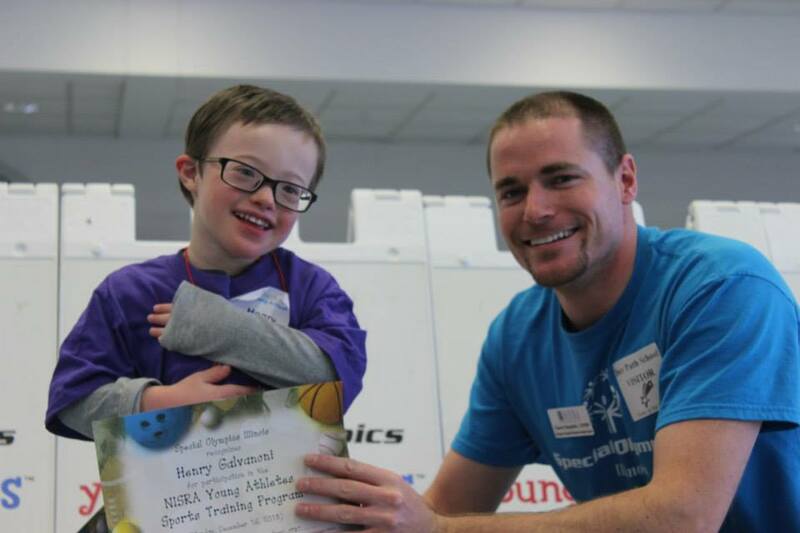 Attention all Young Athletes – Sign up for 2014 Spring Games and get an inside look at what a Special Olympics Illinois event is all about! 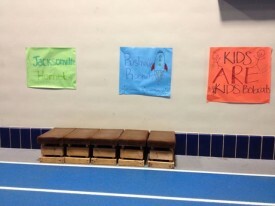 The Areas below are offering the opportunity for 6- and 7-year-olds to test out their skills in the tennis ball throw and 50-meter dash exhibition. 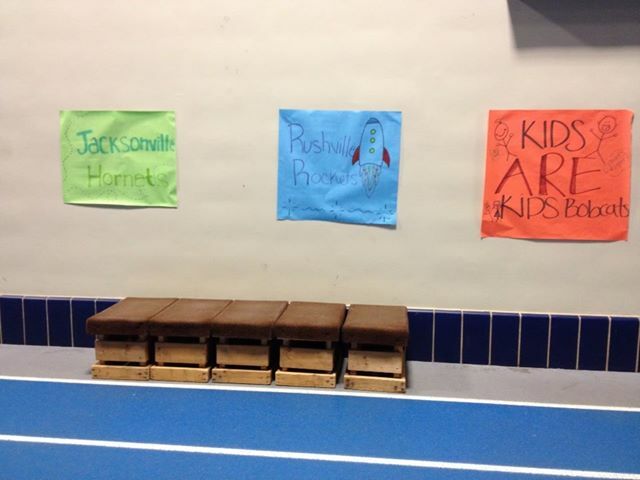 Areas 1 and 6 are also offering a culminating event that all Young Athletes are welcome to participate in. For more information on Areas 1 and 7, contact Jen Marcello. For more information on Areas 6, 12 and 16, contact Bailey Brenner. Enjoy a fun and enthusiastic event with the whole family on May 10! All Young Athletes are invited to participate in the 2014 Northern Region Culminating Event hosted by Northwestern University student athletes and students! Lunch will be provided to those in attendance. If you are interested in attending, please complete and return the registration form to Special Olympics Illinois (English form or Spanish form). If you have any questions, please contact Jen Marcello at 630-942-5610. 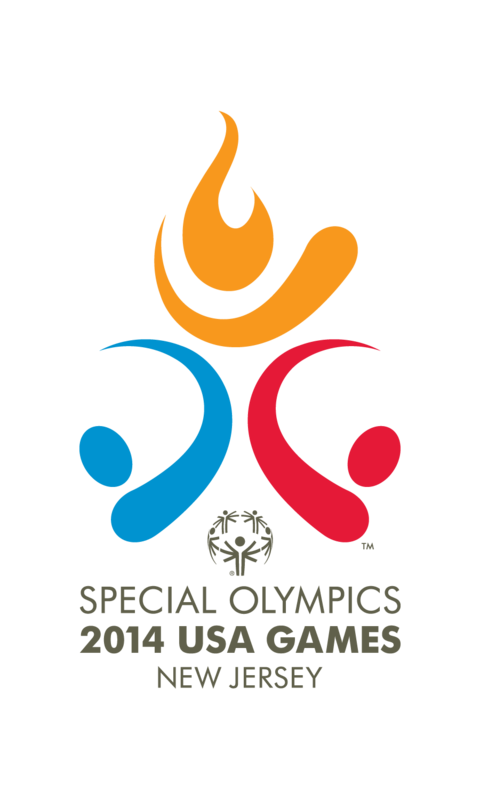 Does your Young Athlete want to experience the 2014 Special Olympics USA Games in New Jersey on June 16-19, 2014? Well here is your chance – sign up for the Young Athletes Festival today! For more information, contact your Young Athletes Staff at youngathletes@soill.org. Help Spread the Word to End the Word™ this year on Wednesday, March 5! The annual R-Word Day is an ongoing effort by Special Olympics and Best Buddies to awareness to society about the dehumanizing and hurtful effects of the word “retard(ed)” and encourages people to pledge to stop using the R-word. The campaign, which was created by youth, is intended to engage schools organizations and communities to rally and pledge their support at http://www.r-word.org/ and to promote the inclusion and acceptance of people with intellectual and developmental disabilities. Support the cause by making your pledge today and Spread the Word to End the Word! Come on out for the 5th Annual You Raise Me Up Concert at 3 p.m. Saturday, April 5, at College Church in Wheaton. We will be featuring the singing talents of Village Vocal Chords, STARS of College Church, School of Rock – Glen Ellyn, Beyond Glee and Breanna Alyssa Bogucki. Tickets are $10 per person or 5 tickets for $40. All proceeds will benefit the athletes of Special Olympics Illinois Far West Suburban/Area 2. For more information on #YRMU14, contact 630-377-7250. Download a flyer. On behalf of Caterpillar, Ron Bellinger and his family presented Special Olympics Illinois Heartland/Area 6 with a check in the amount of $4,818. The money was raised from the Caterpillar East Peoria facility’s recycling efforts in 2013. Since 2006, the Caterpillar East Peoria facility has operated a Recycling Proceeds Charitable Donations Program by which revenues from recycling of selected commodities are accrued for distribution to charitable organizations at the local, regional and national levels. 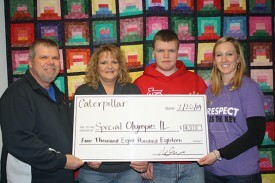 The donation was made on behalf of Caterpillar-East Peoria employees not only as a means of funding Special Olympics program operations, but also as recognition for the services it provides to the community and to Caterpillar workers and their families. 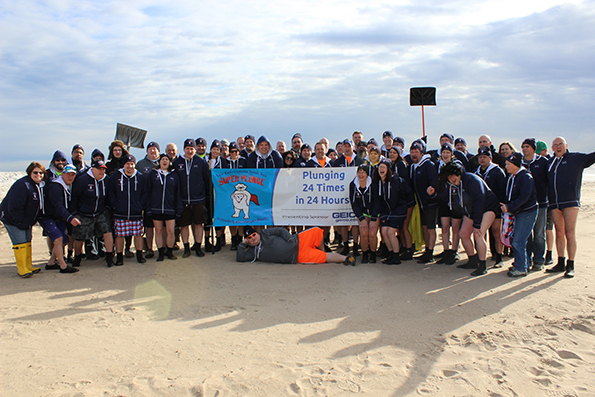 Dedicated Group of 43 Take the Plunge – 24 Times! Over a 24-hour period, a brave group of 43 SUPER Plungers battled the bitter cold while taking 24 icy dips (once every hour!) into Lake Michigan. Members of this group included law enforcement personnel, students, teachers, Special Olympics Illinois staff, board and even SOILL President & CEO Dave Breen. Joining this dedicated group for a single plunge were Comcast SportsNet’s Chris Boden and a Chicago Blackhawks Plunge Team, captained by mascot Tommy Hawk. 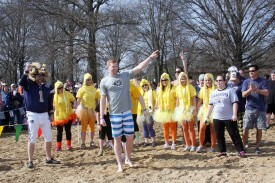 The SUPER Plunge, held on Feb. 21-22, definitely set the stage for a great Polar Plunge season, raising more than $170,000. More than 300 representatives from 136 law enforcement agencies across Illinois came together on Friday, Feb. 7, for the 2014 Law Enforcement Torch Run Kickoff Conference. The event was held at the Doubletree Hotel and Conference Center in Bloomington. Representatives were inspired and educated on the various opportunities to help raise awareness and funds for the athletes of Special Olympics Illinois. The conference included a multitude of breakout sessions for newcomers and Torch Run veterans. Topics such as “How to Host a Successful Trivia Night” and “Creative Fundraising Ideas” were included during the breakout sessions. During lunch, attendees were treated to an interactive presentation given by Project UNIFY students. Using a creative Bingo game based off of key components of Project UNIFY, students were able to educate attendees about the mission and goals of Project UNIFY. Project UNIFY is an all-ages education based program whose goal is to activate young people and give them the tools, skills, disposition and opportunities to build change and to motivate their schools to have a true culture of inclusiveness. For more information about Project UNIFY, click here. Bill Devine of the Tinley Park Police Department was this year’s recipient of the Law Enforcement Torch Run for Special Olympics Illinois Flame of Hope Award. 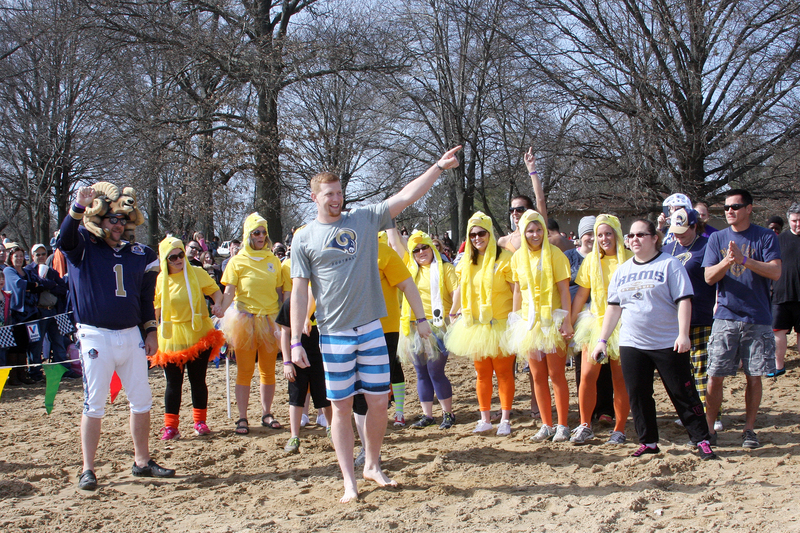 A supporter and advocate for more than 15 years, Bill demonstrates his commitment to raising awareness and funds for Special Olympics Illinois through whatever means possible, including taking 24 icy dips into Lake Michigan during the annual SUPER Plunge. 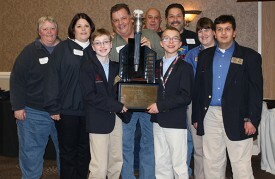 Other events Bill has been instrumental in the success of include Dunkin’ Donuts Cop on Top, Titan on Top events with area schools, and the Texas Roadhouse Benefit Lunch. Bill also plays a key role in organizing the World’s Largest Truck Convoy and has brought new life to the Harley-Davidson raffle via his connections. 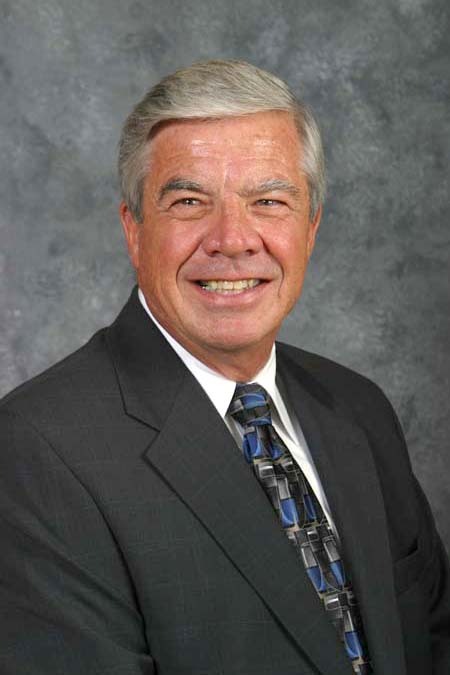 Through his leadership, Bill has taken the Tinley Park Police Department’s fundraising efforts from $2,500 in 2003 to more than $40,000 each of the last three years. 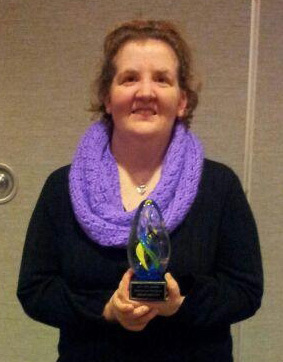 Colleen MacRunnels and the Maple Park Police Department were this year’s recipient of the Department Flame of Hope Award at the 2014 Law Enforcement Torch Run Kickoff Conference. Despite being a small department of only 1 full-time officer and 6 part-time officers, this department has been one of the top fundraisers in the state since becoming involved in 2011. Through the leadership of Colleen MacRunnels, along with a great team of motivated volunteers, the Maple Park Police Department was honored as the top fundraising agency in Illinois raising $63,195 in 2013. This department has raised nearly $125,000 total for the athletes of Special Olympics Illinois and is an integral part of our program’s success. Maple Park Police Department epitomizes creative thinking with their fundraisers, as their signature events include Pulling for Special Olympics and Crazy Quail sporting clay shoots, a lobster boil and the famous Wheel of Meat event. 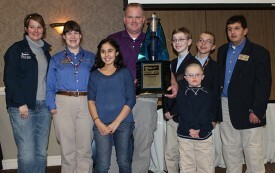 Most importantly, Special Olympics athletes always play a prominent role in each of their events. 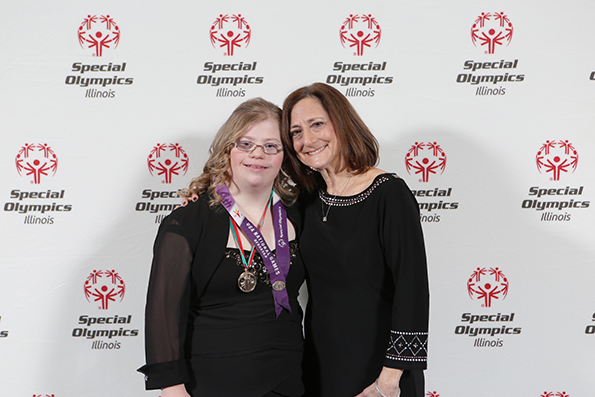 We’re focusing the spotlight on a group of individuals who support Special Olympics Illinois year after year – the more than 59 Chevy dealers in Chicagoland and Northwest Indiana have partnered with Special Olympics for more than 20 years. They have donated four vehicles through 2013 and have once again committed to donate a vehicle for the 2014 Windy City Rubber Ducky Derby. The addition of the vehicles as prizes at the Duck Derby has increased participation of this event by three-fold over previous years. In addition to the Duck Derby, the Chevy Dealers also support Special Olympics at the Chicago Auto Show First Look for Charity event by designating proceeds from their purchase to SOILL. Through 2013, the Chicagoland and Northwest Indiana Chevy Dealers have helped in generating more than $1.1 million for the athletes of Special Olympics Illinois. You know that stuff that jingles in your pocket or sits at the bottom of your purse? Why not put it to good use? Now you can with Change for Champions. Essentially a collection of spare change to benefit the athletes of Special Olympics Illinois, it is a campaign that works on a lot of levels – schools, friends and families of athletes, in stores (at register collection or icon sales) and an online digital campaign. We’re asking people to donate their cold hard cash – spare change or the kind that folds (ones, fives, tens, twenties, fifties or even hundreds!) This campaign is meant to raise funds and awareness for the athletes of Special Olympics Illinois and to celebrate the 46th anniversary of the first Special Olympics Games on July 20, 1968! The in-store campaign will kick off in June at a store near you. Then a Friends & Family Day will follow in the fall with collection at store entrances. Schools will run their campaign for one month any time during the school year with peer-to-peer collections. If you would like to participate, online registration will open soon. Once you have registered, Special Olympics Illinois will provide you with a turn-key campaign in a box, which contains a collection container, marketing materials to ensure a successful collection day, instructions on how to turn in your collected donations and T-shirts. All Special Olympics athletes are champions, so as they change our lives, let’s support them by collecting change to transform their lives. If you represent a school and would like more information, please contact Jen Marcello at 630-942-5612; are a friend or family member, contact Karen Milligan at 309-888-2013; or have a general question, contact Shelley Chenoweth at 630-942-5619.